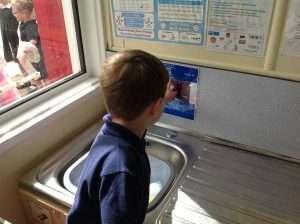 Crowmoor Primary School and Nursery in Shrewsbury receives prestigious Unicef UK Gold Award – First! 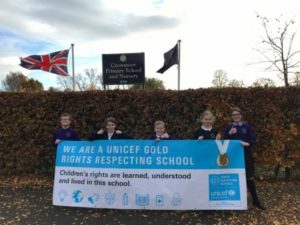 Crowmoor Primary and Nursery school in Shrewsbury is the first school in Shropshire to be awarded the prestigious Gold Award by Unicef UK’s Rights Respecting School programme. “I know that the focus on equality, dignity, respect, non-discrimination and participation is central to the culture that you promote at Crowmoor Primary School. I am also aware that a school only achieves the Gold Award when the values and UNICEF Rights Respecting Framework are fully embedded in the policies and practices of that school and where this has a positive impact on the pupils …. The Unicef UK Rights Respecting Schools initiative is aimed at schools across the UK, including those in an early years setting. This year the programme has received additional support from The People’s Postcode Lottery. This vital funding is helping Unicef UK continue its work with over 4500 primary schools, secondary schools, schools for children and young people with special educational needs and pupil referral units across England, Northern Ireland, Scotland and Wales. Schools have reported a positive impact on pupil behaviour, relationships and well-being by enhancing pupil’s self-esteem, leading to less truancy and bullying, better learning and improved academic standards. Using the UN Convention on the Rights of the Child (CRC) as our guide, we are working with more UK schools than almost any other organisation. 1.6 million children in the UK go to a Rights Respecting School and more than 4,500 schools up and down the country are working towards the Award. The School is rated as Good by OFTED, most recently being inspected in 2017.It serves a diverse community in Shrewsbury, being in one of the more economically disadvantaged areas in Shropshire. Because of this it was a pilot for two-year old nursery provision which was sponsored by the DFE and it also has a Local Authority maintained three year old nursery class. It is host to a Shropshire Council Family Hub confirming it’s place as a whole community resource, at the heart of the Monkmoor Community. It has 256 pupils, having grown by nearly a 100 pupils in the last decade, now being full in most year groups. It’s broad and balanced curriculum has also seen it gain gold in the national School Sports Award for the past three years and it was last month awarded a Silver Arts Mark. Unicef UK raises funds to protect children in danger, transform their lives and build a safer world for tomorrow’s children. As a registered charity we raise funds through donations from individuals, organisations and companies and we lobby and campaign to keep children safe. 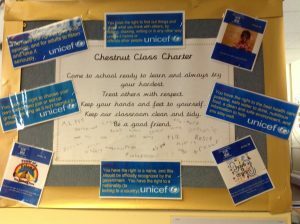 Unicef UK also runs programmes in schools, hospitals and with local authorities in the UK. For more information please visit unicef.org.uk. Pictures show (from left to right) the School’s UNICEF Ambassadors who helped gain the award. Jack Faherty(Head Boy),Keira Jones, Kyle Scott (Deputy Head Boy),Mia Thomas, Libby Beaman (Head Girl). 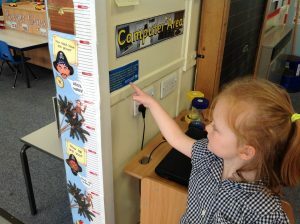 Read news, check diary dates, find out which school clubs are running and see the latest class activity. Teachers, parents, governors and children all make our school what it is. Find out who’s who.